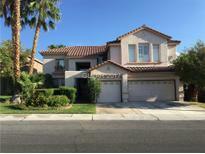 Below you can view all the homes for sale in the La Mirada Summerlin subdivision located in Las Vegas Nevada. 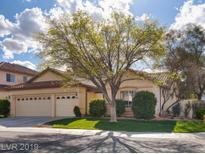 Listings in La Mirada Summerlin are updated daily from data we receive from the Las Vegas multiple listing service. To learn more about any of these homes or to receive custom notifications when a new property is listed for sale in La Mirada Summerlin, give us a call at 702-930-8014. Fantastic Summerlin location near natural Pueblo Arroyo path, Tivoli, Rampart Commons, TPC, & Sumrln Pkwy. MLS#2084638. Desert Sky Realty. Oversized master bedroom with french doors & vaulted ceiling. Located near shopping, dining & freeways. MLS#2075986. Coldwell Banker Premier. Great Location! Master Bedroom Features A Balcony. MLS#2062672. RE/MAX Excellence. This home is a short sale with some needs, but great neighborhood, great yard with pool and spa. Make this your dream home! MLS#1927651. Luxury Homes of Las Vegas.